There are a number of spinal decompression procedures used to treat a variety of painful and debilitating conditions. Spinal decompression surgery is a general term that refers to a collection of procedures that are designed to alleviate symptoms caused by compression or pressure on nerve roots or the spinal cord. There are several conditions that can cause this, including herniated discs, bone spurs, and degenerative disc disease. Operative procedures are only used when non-surgical means of treatment have been ineffective in treating symptoms of these conditions. At ProMedSPINE, our highly renowned Los Angeles neurosurgeons utilize the latest medical technology and advanced procedures to perform spinal decompression surgery, making them the top option for spine care in Los Angeles. When Is Spine Decompression Therapy Required? The normal wear and tear associated with osteoarthritis is one of the most common causes for spine compression in people over 50 years of age. Spine and nerve compression can happen gradually over time or develop very quickly in people of all ages. In severe cases, pressure on the spinal cord or nerves can also cause paralysis and problems with normal bodily functions. It’s important to never disregard symptoms that may be associated with compression. Symptoms may become worse as the condition degrades, so it is imperative that you seek expert medical attention if you regularly experience any of the above. Learn more about spinal decompression therapy by visiting WebMD. There are different decompression procedures designed for separate spine and nerve compression conditions. At ProMedSPINE, our team possesses an expertise in all of the following methods and pride themselves on consistently achieving the best possible outcome in each case. Some of the spinal treatments listed below can be used in combination with other methods in order to provide the highest rate of success. 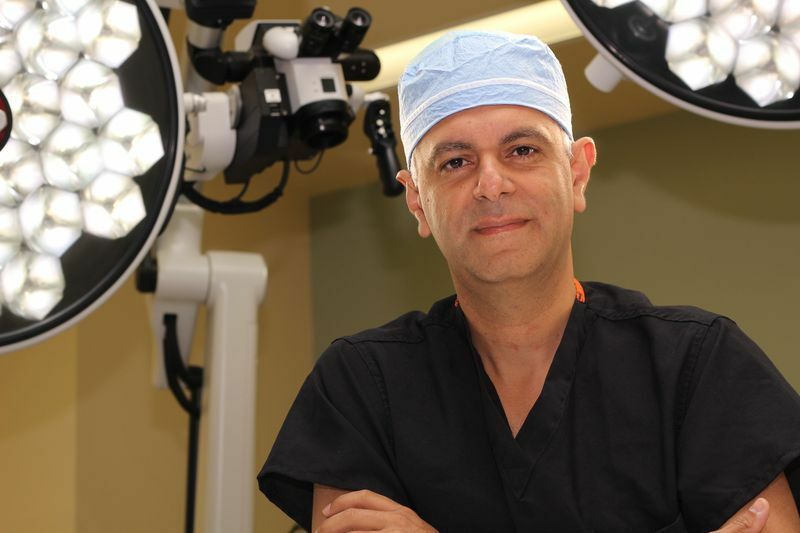 Dr. Gravori and his team have an extremely high success rate when performing procedures to eliminate nerve or spinal compression and alleviate pain. The recovery from these procedures will vary depending on the case, but may involve a rehabilitation period of physical therapy. Surgery is always treated as a last resort. Non-invasive treatments such as medication, therapy, and injections should be considered before a surgical procedure. Only when these methods have failed to treat the symptoms will surgery be considered. The team at ProMedSPINE are board-certified neurosurgeons with fellowship training in advanced spine surgery. At ProMedSPINE, we offer the most sophisticated technology and cutting-edge minimally-invasive spine procedures to alleviate compression and pressure and provide the highest level of care for our patients. Our team is dedicated to freeing you of the pain and getting you back to the activities that you love. To schedule an initial consultation, please contact spinal surgery specialists today. Next, please read about stem cells.